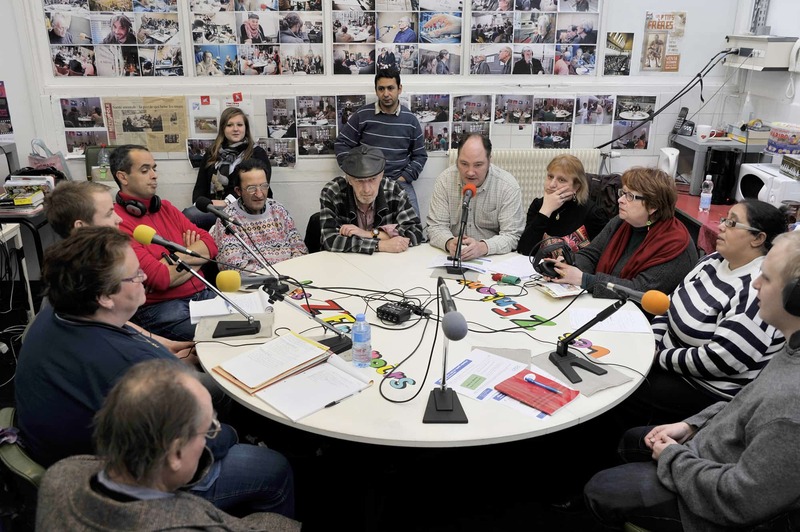 In Roubaix, on the premises of the cultural centre La Condition Publique, a radio program that’s rich, funny, free and one of a kind has been recorded every Monday for the past eight years: les Z’entonnoirs. The program’s presenters are men and women who are suffering from psychological problems, and some nurses. They define the program’s editorial line, conduct the interviews, present, comment and debate, together building a veritable radiophonic moment. One never knows who’s the patient, who is the nurse, and everyone has their word. In coproduction with Wéo – Télés Nord-Pas-de-Calais and CRAAV – Cinema and Audiovisual Nord-Pas-de-Calais. With the participation of the Centre National du Cinéma et de l’Image Animée, the Procirep – Society of Cinema and Television Producers and the Angoa and Le Fresnoy – National Studio of Contemporary Arts.